An international relief charity has been able to provide underprivileged children with a little more joy this Christmas thanks to the hard-work and dedication of three Bield tenants in Cumbernauld. 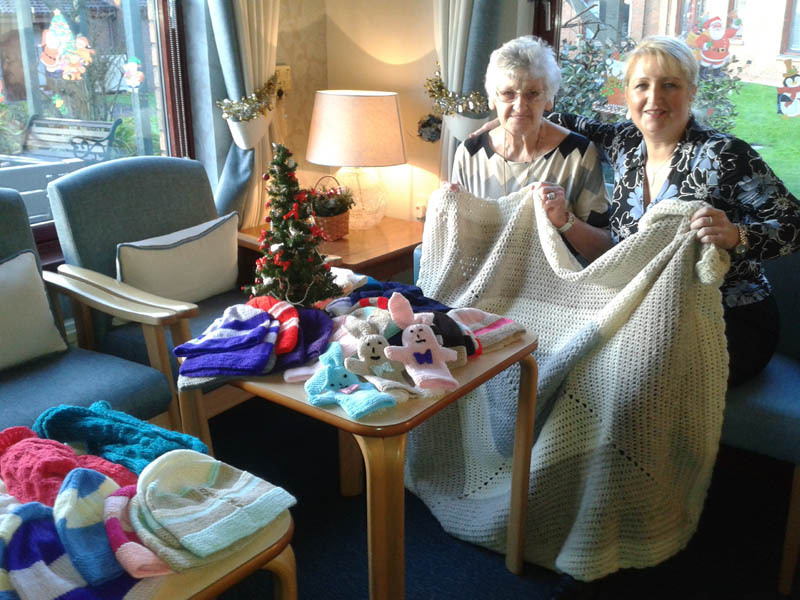 For the third year in a row, tenants at Bield’s Hillcrest Court Retirement Housing in Cumbernauld have undertaken a year-long project to knit as many items as they can for The Samaritan’s Purse. The Samaritan’s Purse is a Christian group which has been running since 1990 and has provided shoeboxes of gifts to more than 113 million boys and girls in excess of 130 countries. This year the shoeboxes are going to underprivileged children in Romania. For the last two years Hillcrest Court have worked in partnership with Cumbernauld College, however this year when the College decided not to take part the Bield tenants were determined to carry on. Elizabeth Fox, Manager at Hillcrest Court, said: “It has been a great journey for my tenants at Hillcrest Court. Knitting for The Samaritan’s Purse really encourages them to work together. “They love having a project to focus on. I believe being involved in projects like this enhances and enriches their lives and that is really important to me. “Sadly over the past three years we have lost a few of our great knitters but this year we had three brilliant knitters who took on the project and done an amazing job knitting items including hats, gloves and even hand puppets.